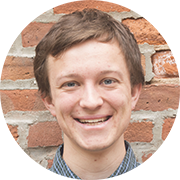 My name is Mike Danielczuk, and I’m a second-year PhD student in EECS at UC Berkeley. I am advised by Professor Ken Goldberg of the UC Berkeley Autolab. My work thus far has focused on robotic perception and manipulation, ranging from instance segmentation to robotic pushing to increase grasp success. Specifically, I am very interested in how we can use simulation to generate large datasets for deep learning methods, thus avoiding expensive hand-labeling. I received my BSE in Electrical Engineering from Princeton University. I also enjoy running and hiking in the many beautiful California parks around the Berkeley area, and I am an avid New England sports fan. February 28, 2019 : Two of my papers, one on segmenting unknown 3D objects from real depth images (in collaboration with several Autolab members) and one on mechanical search (in collaboration with Stanford), were accepted to ICRA 2019! January 16, 2019 : We released a new paper as part of the Dex-Net project in Science Robotics about learning ambidextrous robot grasping policies. October 23, 2018 : We published a blog post describing some of our recent results on the combination of depth images and deep learning in the BAIR Blog. September 16, 2018 : In collaboration with several other members of the Autolab, I released a new paper on segmenting unknown 3D objects from real depth images using mask R-CNN trained on synthetic data. © 2019 Michael Danielczuk. Powered by Jekyll & AcademicPages, a fork of Minimal Mistakes.